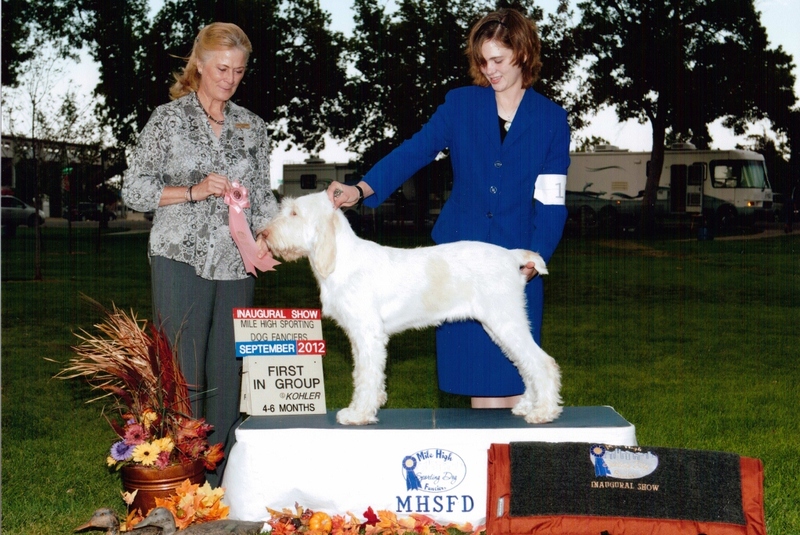 Miss Brill made her debut at a fun match in Topeka, Ks where she won best of breed spinone and went on to win a sporting group 2. 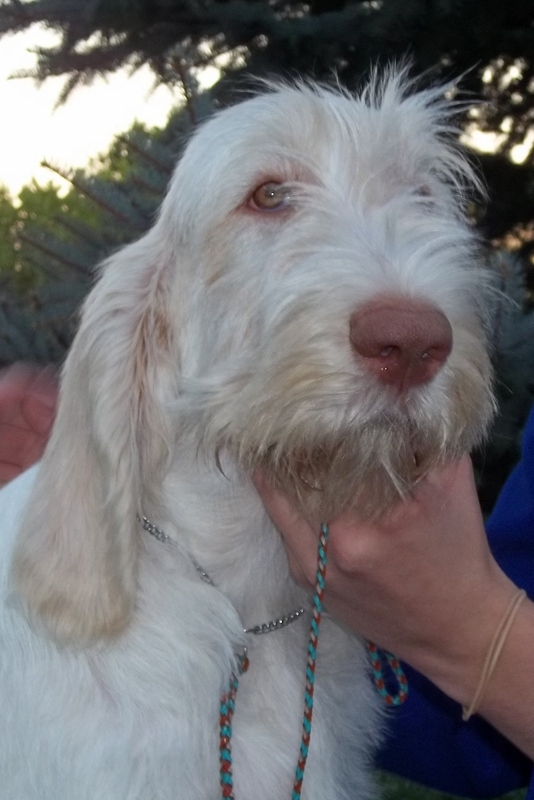 Brill’s second time out was the inaugural show of the Mile High Sporting Dog Fanciers in Greeley, Colorado where she and her brother Barnabas participated in AKC’s 4-6 month puppy spectacular. Not only did she beat her brother to go best of breed spinone (a major feat in itself), but she also went on to win a first place in group over some lovely sporting dog puppies. We are very proud of this little girl and look forward to seeing what her future holds.